The Cathedral Church of Saint John, the fourth church built on its property, represents the oldest Anglican parish in Western Canada. Established in 1822 by John West, a Church of England clergyman sent to the Red River Settlement by the Hudson’s Bay Company, the church ministered to the needs of settlers and fur traders and became the centre of the Anglican Church’s missionary, educational and administrative activity in the West. The cathedral also is an excellent example of the Late Gothic Revival style. 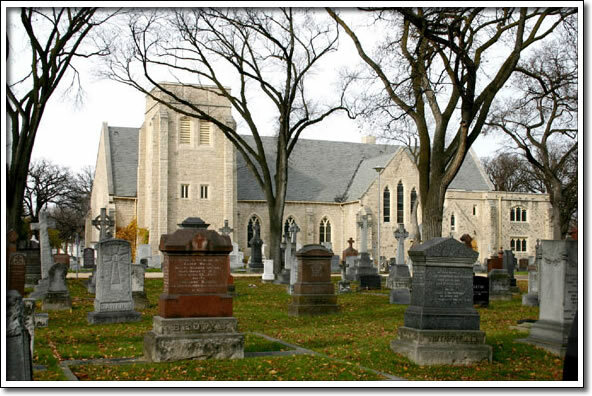 Its dignified design by Winnipeg architects Gilbert Parfitt and Edgar Prain reflects the medieval vernacular tradition of English parish churches through its sprawling horizontal mass, Norman tower and pointed window and door openings. Of additional significance are the building’s magnificent stained-glass windows and the stone and other features it incorporates from earlier churches on the site. The building is an outstanding historical, architectural and religious landmark in Manitoba, one that remains a vital presence in the lives of its members, some military regiments and the wider community.